Home > Free > Disney Movie Rewards: 5 FREE Rewards Points! Disney Movie Rewards: 5 FREE Rewards Points! Disney and ABC Family have teamed up and are giving away 5 FREE Disney Movie Rewards points every day until Christmas! Use the code 25DEEM to start collecting Disney Movie Rewards! Disney Movie Rewards points will be put toward prizes you can earn (gift cards, movies, coupons, and more)! 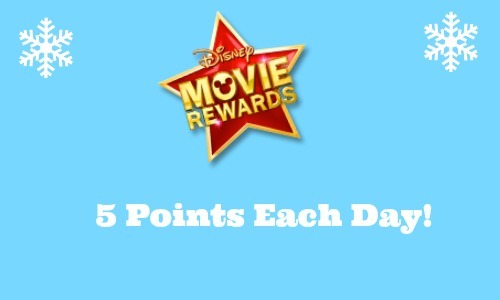 You can also receive points based on your Disney purchases, taking surveys on the site, and more. If you haven’t signed up, getting an account is FREE! If you love Disney and/or make frequent Disney purchases, this program will be perfect for you.